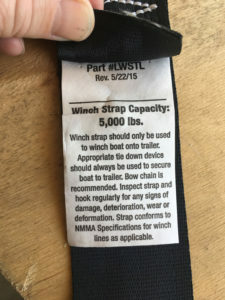 Over time, through contact with the sun, salt water or because it is subjected to a lot of tension, the strap of your winch eventually deteriorates. However, there’s no need to change the entire winch. Replacing a strap is an easy and inexpensive operation. It may not have been obvious to you, but not all straps are the same. There are several widths (usually 2’’ and 3’’), lengths (depending on the length of the trailer) and especially load capacities. Be sure to choose a model that offers a maximum breaking load at least 20% greater than the weight of your boat, it is insurance for your safety. 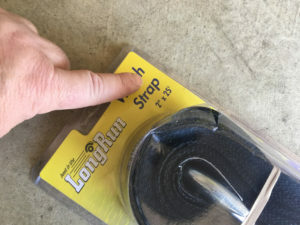 Regarding the length, do not take one that’s too short, obviously, but also not too long, because the strap will not fit in the groove provided for this purpose. Finally, there is normally a place on your winch where your workload capacity is indicated. If necessary, you can refer to the manufacturer’s instructions. Finally, do not replace a cable with a strap, the winch is not designed for this change. Just unroll the old strap all the way, being careful not to get your fingers caught. 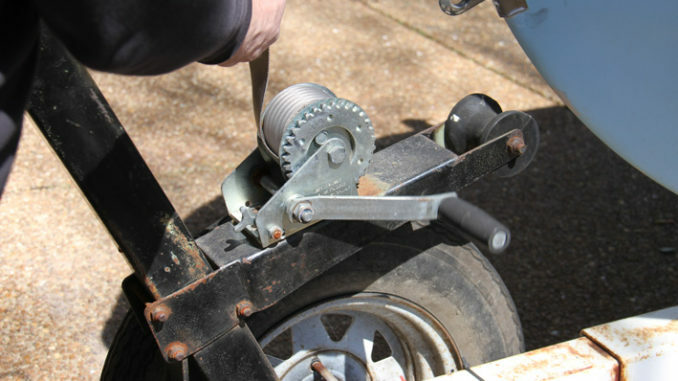 The strap is held in place by a central bolt. It may be the bolt acting axis or another slightly offset. 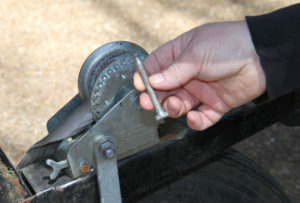 Loosen the nuts of the bolt with two keys. It is possible that the nuts will resist a little because of the corrosion. 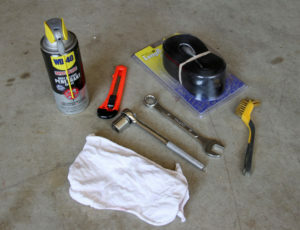 In this case, use a product like WD 40. 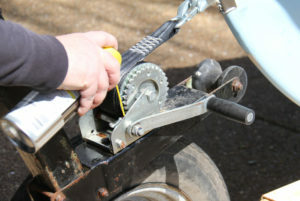 Once the bolt is unscrewed, remove it from the winch and remove the strap. If the strap is too old, you may need to cut it with a box cutter at the shaft to remove it. Inspect its shape. It must not be twisted or attacked by corrosion. If it looks bad, it’s better to change it. 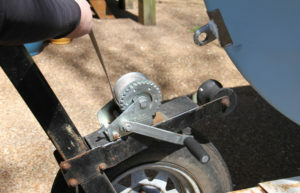 Once the bolt is removed, clean the winch cage and make sure there is no corrosion. If the galvanized coating is a little damaged, you can spray some cold galvanizing. Perform the same operation for the center bolt. 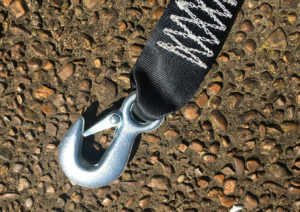 Most straps are sold with a new hook. If this is not the case, do not forget to insert the hook into the loop of the strap. Be sure to follow common sense by keeping the strap flat. 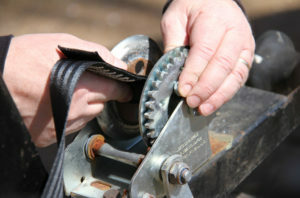 Insert the bolt into the winch cage and at the same time slide the bolt into the loop sewn at the end of the strap. Tighten the nuts of the central bolt without tightening too hard, because the the axis needs to remain mobile. 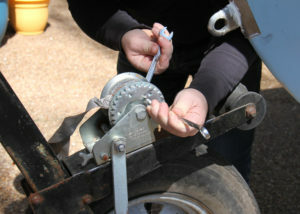 Wrap the new strap onto the winch drum using the crank. Make sure the strap winds neatly, staying flat and without wrinkling. 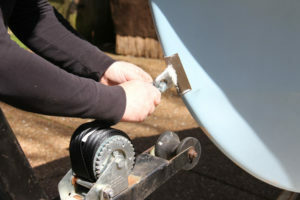 Before you finish winding the strap, do not forget to hang the hook onto the boat’s ring. 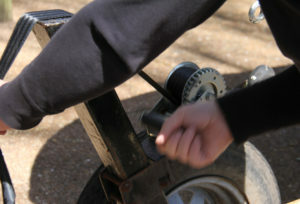 Wind it until it is tight and make sure that the winch locking pawl is working properly. 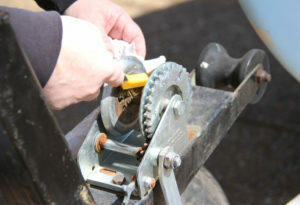 While you’re there, spray a little lubricant on the mechanical part of the winch, it will be easier to handle.